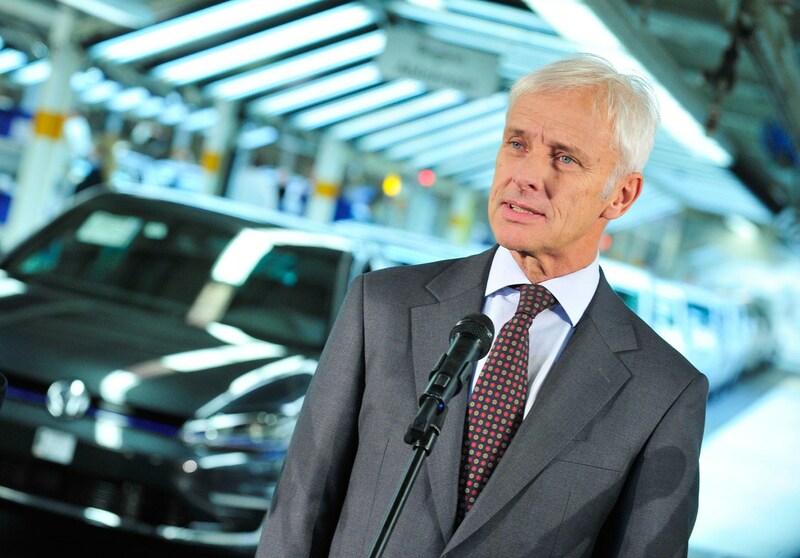 Home Car News Industry News Volkswagen Who is new VW chairman Herbert Diess? 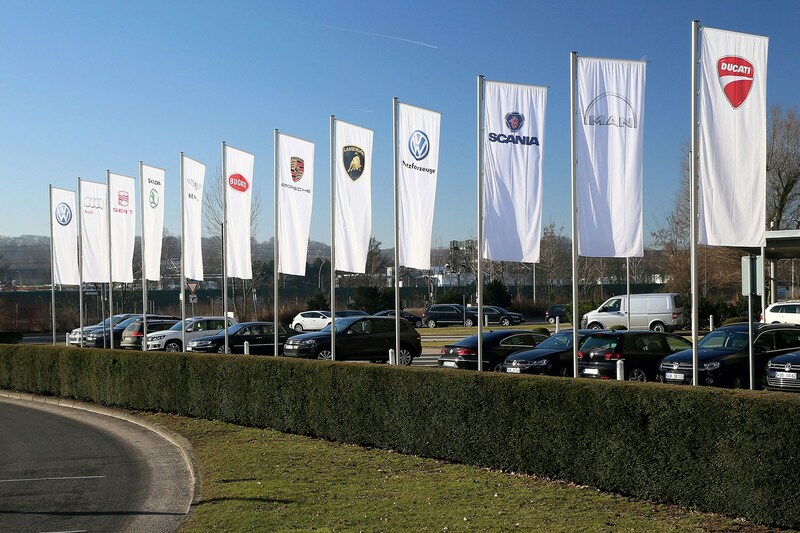 The ramifications of Dieselgate continue to be felt in Wolfsburg - and this week Volkswagen announced a major reorganisation of its leadership, with a new chairman of the board of management and a fresh structure dividing the business into six units. Matthias Mueller, 64, has stepped down ‘by mutual agreement’ from the top job with immediate effect and will be replaced by Herbert Diess, who was formerly running the Volkswagen brand. Mueller is the former boss of Porsche, parachuted into the top job when Martin Winterkorn was pushed out days after the emissions crisis broke two and a half years ago. Most observers agree that Mueller, below, was a steadying hand during the scandal, when VW was caught cheating in emissions tests in America. Chairman of the supervisory board Hans Dieter Pötsch said: ‘Matthias Müller has done outstanding work for the Volkswagen Group. He assumed the chairmanship of the board of management in the fall of 2015 when the company faced the greatest challenge in its history. Dr Diess succeeds Mueller as the chairman of the board of management, assuming day-to-day control of the whole group. He joined VW shortly before the emissions scandal of September 2015 and was soon promoted to run the VW division. He is known for his technical knowledge and keen eye for costs and efficiencies. 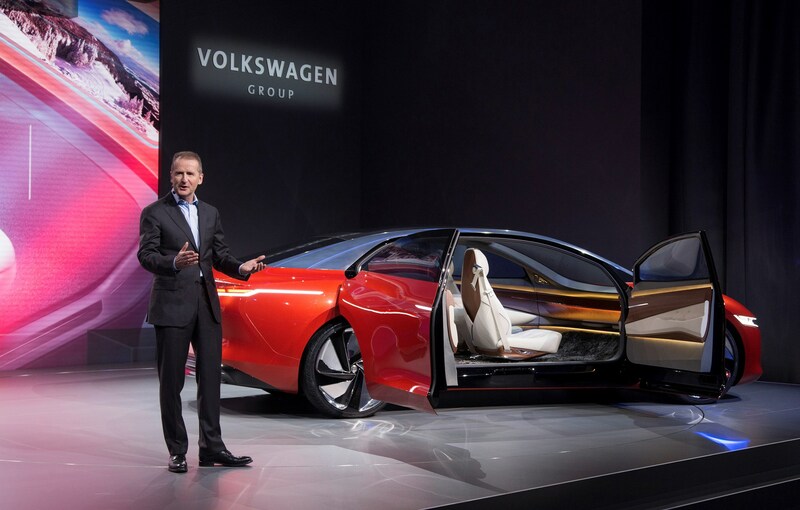 He will be responsible for group R&D and vehicle IT and connectivity, reflecting the technological change fundamental to VW’s reinvention as an electric car pioneer, led by the ID family of EVs. We're still two years away from seeing the production cars: the ID hatchback, whose production name has not yet been decided, will be joined by a crossover in 2020 - paving the way for a whole family of electric cars developed under the ID banner.